🌟 The above quote is the dedication of this book. Funny how after reading only this, I felt that I know the characters and could relate to them. A few pages in and I was hooked. 🌟 Now when I first started this I didn’t expect the modern world building. I thought for some reason that this is set in an older era when there was no technology and electricity. Although the synopsis did not mention this but the cover also gave me those same vibes. 🌟 I didn’t mind the setting though as it was good and I wanted to know more about the characters. It is also interesting now how many books are there with 3 girls as MC. For example: Three Dark Crowns, Sawkill Girls, Broken things and this book. I don’t know if it is the new trend but I don’t mind it as long as they are well done which was the case here. 🌟 This read more like a contemporary with very limited magic and I liked this. I was thinking that it could have worked as a contemporary alone. I don’t read Magical Realism and I didn’t know this was one when I ordered it so I went and checked again and it was classified as such and I was happy because I can finally have a favorite book in this genre! 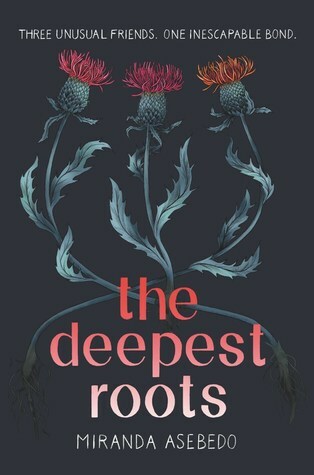 🌟 The writing style was good, I liked how relatable everything was, from the poor main character, to the friend representation and all the burns and things they had in between. Because some novels just makes the characters perfect to make us like them but hell with that, I’d rather have a realistic character. 🌟 The plot wasn’t that surprising but it was good and it was more about their journey than the plot twists. And it ended up pretty well, I had guessed how will it end early on and it was as I expected and even a bit better! 4 stars for this book! Prescription: For those who would like a light Magical realism book or a good contemporary! Great review, just read abut this book the other day and now you pique my interest even further!